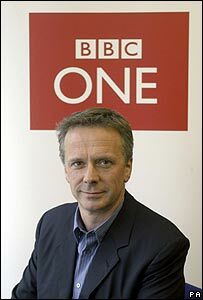 BBC One controller Peter Fincham has resigned after an investigation into footage that misrepresented the Queen. A documentary trailer was edited out of sequence, and Mr Fincham wrongly told the press it showed the monarch walking out of a photo session "in a huff". A report into the incident has blamed "misjudgements, poor practice and ineffective systems". The programme was made by production company RDF Media, whose chief creative officer Stephen Lambert has also quit. Mr Fincham said he resigned because: "From the outset it was clear as controller of the channel I took responsibility for what had happened. "I thought that was the right thing to do, the honourable thing to do." He insisted the BBC had "acted in good faith" and admitted leaving after only two-and-a-half years was "probably shorter than I would have liked". He added: "Blame is spread in many different directions. Errors were made at different levels by different people at different times." Former BBC executive Will Wyatt wrote the report into A Year with the Queen. He said he did not think "anyone consciously set out to defame or misrepresent the Queen in the tape". 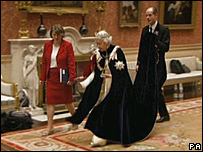 But the report said a "fuse was inexcusably lit when RDF edited the footage of the Queen in a cavalier fashion". It added that whoever had handled the issue had been "slow to appreciate the magnitude and import of the mistake". Mr Fincham knew the trailer misrepresented the Queen at 7pm on the evening of the press screening, it said - but a correcting statement was not put out until the following day. By that time, the news of the Queen "storming out" had already become a big story. The delay in admitting the error was a "mistake made by the BBC", Mr Wyatt said. Responding to the report, BBC director general Mark Thompson said: "Serious mistakes were made, which put misleading information about the Queen into the public domain. "That is why we are determined to take all necessary steps to address the shortcomings set out in this report." BBC Trust chairman Sir Michael Lyons said the report revealed that "serious errors of judgement were made and that proper controls were not applied". An independent review will also be carried out, he said, while the BBC has compiled a series of new measures in an attempt to tighten editorial standards. Former BBC director general Greg Dyke said the BBC should work to ensure similar mistakes are not made again. "It's a difficult story," he said. "I think most of the blame lies with RDF not with the BBC. But I think the BBC have obviously got to have systems to make sure this doesn't happen again. "The systems weren't there it seems," he told Newsnight. In his resignation letter, Mr Fincham said it was "with great regret" that he had quit. "Whilst I leave the channel with great sadness, I am tremendously proud of what I and my team have achieved," he said. BBC Two controller Roly Keating will take over as acting controller of BBC One. In Mr Lambert's resignation statement, he said he was "taking responsibility for RDF's involvement in the BBC's so-called 'Queengate' affair". "It was clear to me several weeks ago that, regardless of the inquiry's conclusions, it would be in the best interests of RDF that I should resign once the report was published," he said. 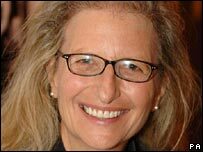 In the trailer, photographer Annie Leibovitz was seen telling the Queen she would look better without her tiara because "the Garter robe is so..."
Before she could say anything else, the Queen replied, pointing to what she was wearing: "Less dressy. What do you think this is?" The clip then cut to the Queen walking through Buckingham Palace, saying to her lady-in-waiting "I'm not changing anything. I've had enough dressing like this, thank you very much", implying she had stormed off from the portrait session. But in fact, that clip was filmed before the exchange over the tiara. The footage, which was revealed at the press launch for BBC One's autumn schedule in July, was not intended to be seen and was shown in error, the BBC said. At that time, Mr Fincham insisted he was not planning to resign.